from our mailing list at any time. Exceptional craftsmanship, and exquisite, of-the-moment design imbued with forever-appeal are synonymous with New York-based fine jeweler, Susan Foster. New York based designer Susan Foster fuses traditional craftsmanship with up to the minute design, resulting in iconic and original jewellery. Susan grew up in East Hampton, surrounded by creative spirit and flair. Jackson Pollock’s house and the studio of Dutch American abstract impressionist, Willem de Kooning, proved an important influence in her childhood; and consequently her career. Her colourful upbringing led her to study ancient art and architecture at UCLA, followed by apprenticeships with European goldsmiths, finally finishing her schooling at the Gemology Institute of America. 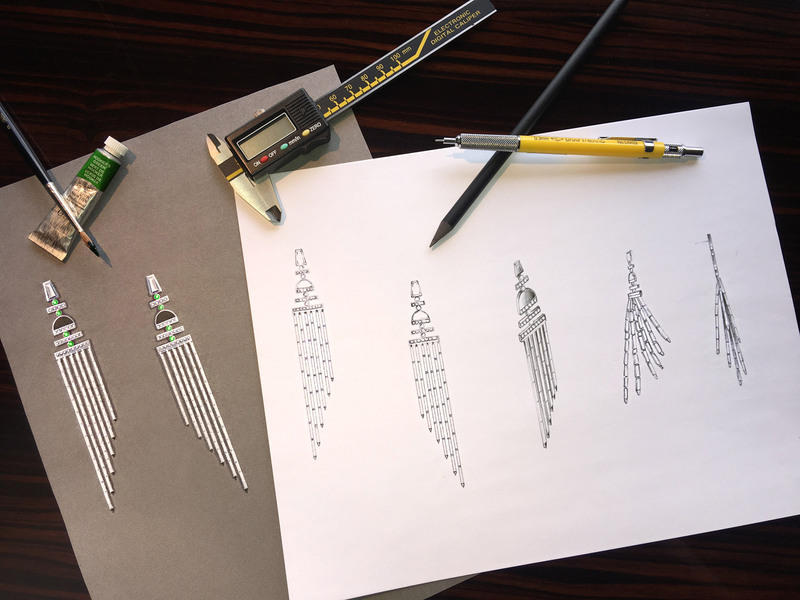 Susan’s excellent training and technological prowess provides the impeccable foundation for all her jewellery designs. She has a firm grasp on fashion, reflected in her loyal following from global editors and stylists. Her work also sparks major worldwide jewellery trends; diamond slices, the rebirth of chandelier earrings and buzz around oversized cocktail rings were all kicked off by Foster. Poetic and intelligent in her execution of jewellery design, she remains continually inspired by the Art Deco movement, Long Island during its 30’s glory and Truman Capote’s swans. She revolutionises every day objects, such as bobby pins and Alice bands (covering them in micro diamonds) always striving to turn the predictable on its head. Susan Foster has a huge private client base, and her designs are stocked around the world, from London to LA, New York to Moscow. As the business expands, so does her unrivalled dominance of the fine jewellery business. In the span of Susan Foster’s fifteen year career, the designer of the eponymous fine jewelry brand, Susan Foster Jewelry, has designed over four thousand five hundred jewels. Foster’s ethos: The woman I design for is a woman who has a total belief in herself, which is the most beautiful type of woman, and that beauty will naturally evince in her taste, style and appreciation for excellence. Susan Foster has been at the helm of the modern fine jewelry business for 15 years. Her client is easy to identify: elegant – though never attention-seeking; a woman who knows her own mind and has innate good taste. Susan’s meticulous work has helped reshape the landscape of fine jewelry. Her designs put the wearer first; meeting the demands of a contemporary lifestyle- whilst maintaining unrivalled quality and appearance. She sources rare and exceptional gemstones, reworking them in a way that they become effortless to wear. The resulting creations are brave but considered, and always individual.